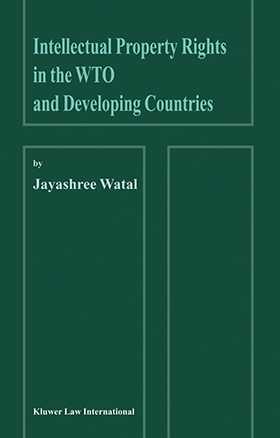 Although it is common knowledge that the compliance of developing countries with the Agreement on Trade-Related Aspects of Intellectual Property Rights (TRIPS) has become a serious stumbling block in the WTO agenda, the underlying reasons why this is so have not been dispassionately analyzed until the appearance of this book. Here, for the first time, is a thorough and secure foundation on which international trade lawyers and business people can build a global intellectual property regime that is both productive and fair. The implementation of the TRIPS regime with its enormous effect on national and global strategies for healthcare, agriculture, and the environment, among other crucial sectors of the world economy is clearly among the most critical projects currently under way in the field of international relations. As a former TRIPS negotiator for India, Jayashree Watal brings great authority to her account of the benefits and pitfalls of TRIPS compliance for developing countries. She provides a detailed understanding of how TRIPS was negotiated at the Uruguay Round, how various countries have implemented it so far, and how the WTO monitors compliance. She reveals how the WTO dispute settlement process has worked to date in matters involving TRIPS, and how it is likely to deal with new issues that arise. Most importantly, she explains how developing countries can interpret TRIPS to their best advantage, and how to ensure that the `constructive ambiguity' that characterizes the agreement remains flexible.